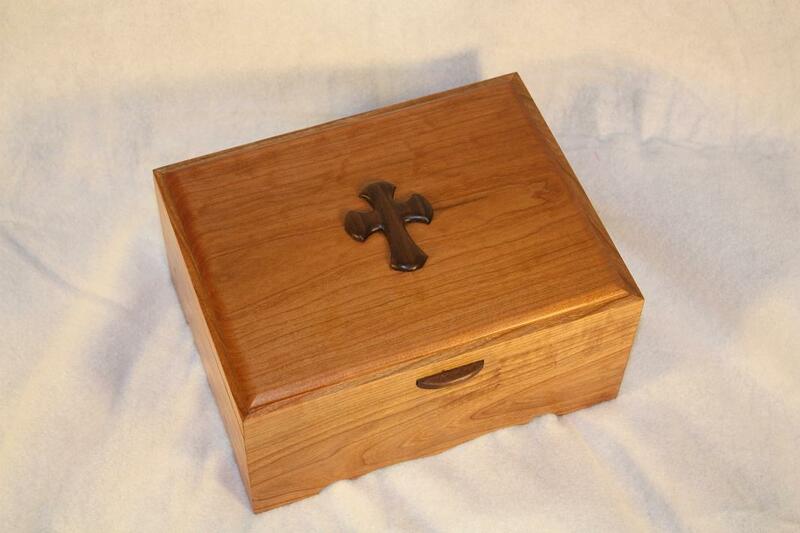 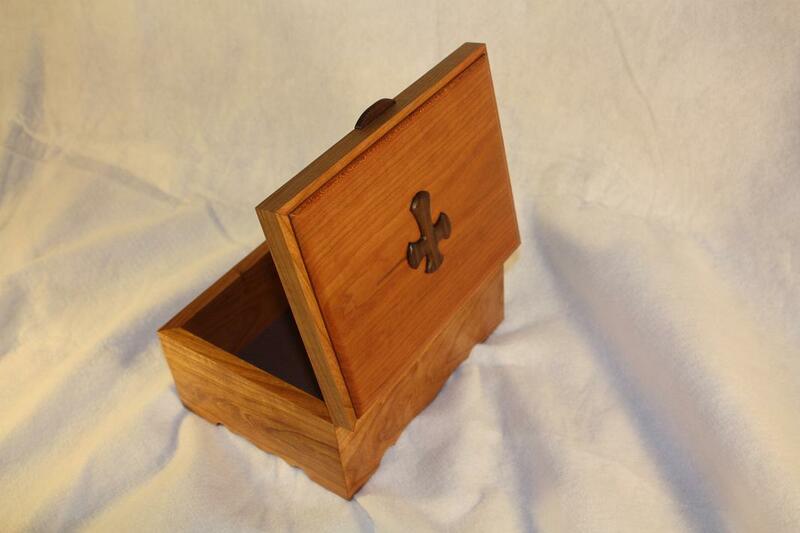 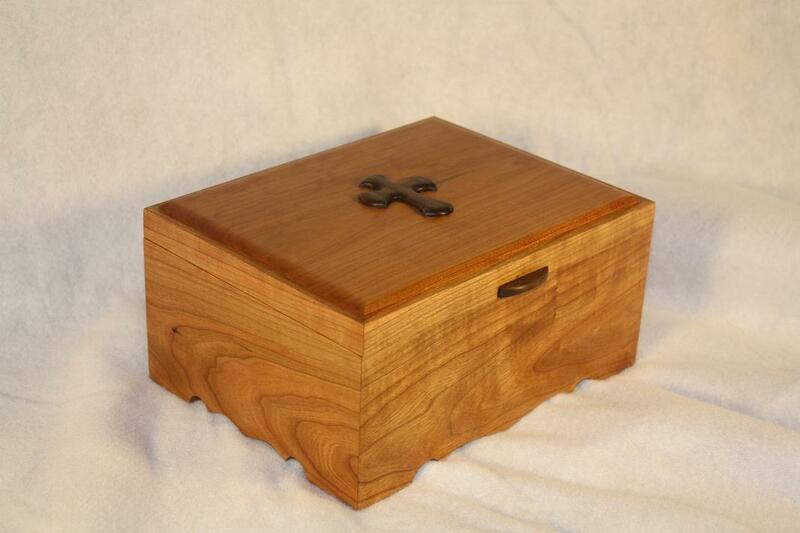 This beautiful keepsake box was constructed for a client with her Grandmother in mind. When asked to discribe her Grandmother I got "A simple country woman who holds her family and faith close to her heart". 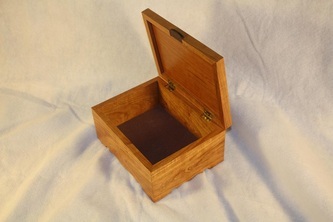 I attempted to depict that feel through this solid cherry keepsake. 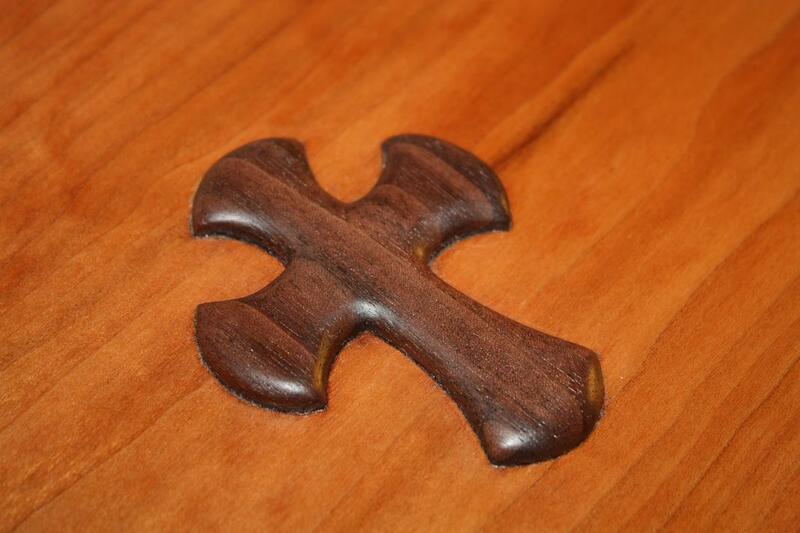 The inlaid carved walnut cross and the small finger lift on the front was just the right amount of contrast to this piece to set it apart. Dimensions 9 1/2" x 7 1/2" x 4"